The Big Bus Company tour takes you to all of London's famous landmarks and reveals the capital's colourful 2,000-year history. The tour offers you a choice of a recorded commentary or a live commentary delivered by entertaining guides. Highlights includes the Tower of London, St. Paul's Cathedral, The London Eye, Buckingham Palace, Tower Bridge, Trafalgar Square, Piccadilly Circus, Westminster Abbey, Downing Street and Horse Guards Parade. The hop-on, hop-off facility will enable you to get on and off the bus at many places of interest and the 24-hour ticket will give you plenty of time to explore London's popular attractions. The sightseeing tour of London also includes a free cruise on the river Thames and three guided walking tours, plus Big Bus Reward Vouchers which offer a range of discounts at attractions, shops and restaurants. 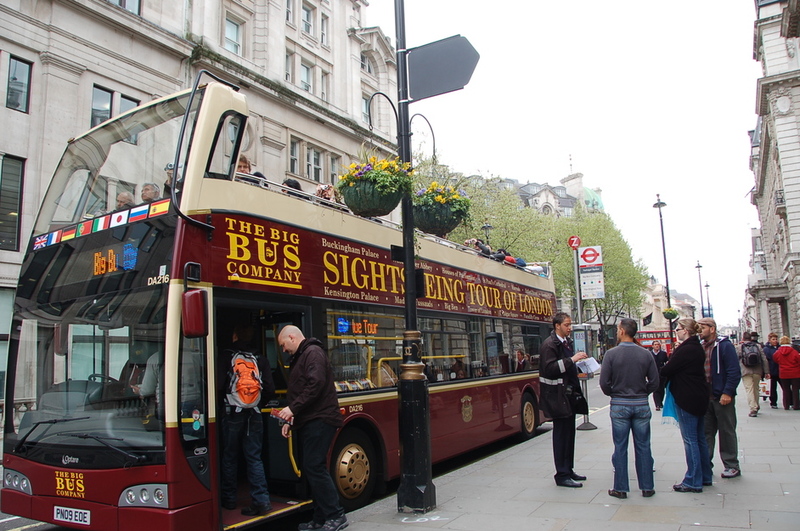 The Big Bus Sightseeing Tour is a safe and relaxed way to experience this great city, the perfect introduction to London and a fun day out for all. Big Bus Company gyms, sporting activities, health & beauty and fitness. What are the best dining options near Big Bus Company London? The best pubs near London Big Bus Company. Big Bus Company clubs, bars, cabaret nights, casinos and interesting nightlife. Where to have your meeting, conference, exhibition, private dining or training course near Big Bus Company. From cheap budget places to stay to luxury 5 star hotels see our special offers for Big Bus Company hotels, including 41 Hotel London from 82% off.